What happens when there are no waves... - She Loves Surf! What happens when there are no waves... - She Loves Surf! 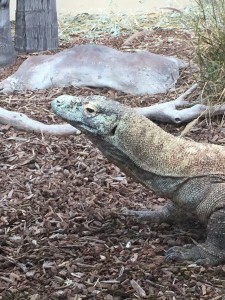 A friendly Komodo Dragon at the San Diego Zoo. My husband working hard while I “supervise”. I actually helped him after snapping this shot. 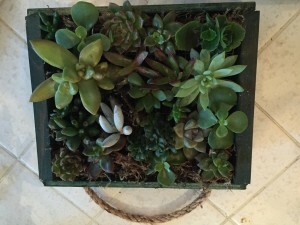 Crafty stuff- my current obsession with succulents and vertical gardening! go look at and drool over new boards, but use the excuse that there are no waves, so why spend the money? write a blog post about the lack of surf, since I haven’t had any surf inspiration ;), after asking husband and friends what I can write about when there are no waves! As you may have gathered after reading, sometimes a lack of surf can be good for the family and home (e.g. 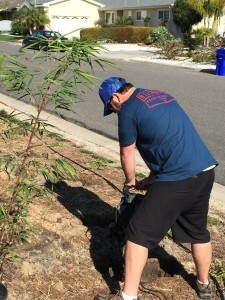 catching up on yard work) and sometimes really unfortunate (e.g. tweaking my knee). The moral of this story is that for a surfer, life really is more balanced when there are at least some rideable waves. The forecast shows a tiny bump for later this week, possibly beginning on my birthday, so crossing fingers and toes (but not my hurt knee) that the wave gods will send some our way! I have to add that this lack of surf has also made me feel very fortunate for how rarely events like this actually occur in SoCal- we are able to surf so many days of the year with relatively warm water and at least a bit of swell to bump some fun waves in!